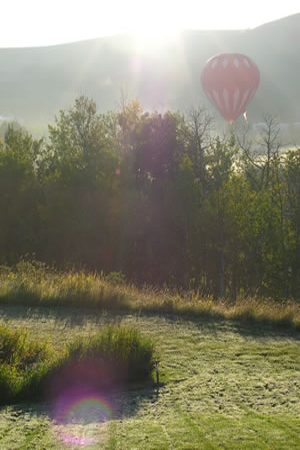 Nestled in a serene river valley, Rosebud is bridge between cultures -- between old and new, urban and rural -- a vibrant arts community visited by over forty thousand people every year. The Blackfoot called the area of our current hamlet “Akokiniskway,” meaning “river of many roses.” European settlers began homesteading here in 1883, laying the foundation for a strong farming and ranching community. The hamlet flourished in the early 1900s, reaching a population of 300 in the 1920s. By the early 1970s, however, the population dropped to fewer than thirty, and abandoned buildings awaited demolition. LaVerne Erickson, a teacher of music and visual arts, started Rosebud Camp of the Arts in 1973 as a summer outreach program for Calgary youth. The summer programs soon expanded into weekend vacations throughout the school year. Old buildings found new uses as dorms and a retreat centre. 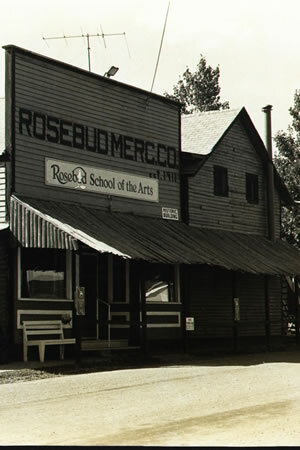 In 1977, the camp developed into a residential fine arts high school named Rosebud School of the Arts and operated in this format until 1986. The school combined academics, arts and work experience with individual attention. Tim Erickson joined his brother LaVerne in managing the new school. The summer of 1983 brought about a seemingly innocent change that significantly impacted the direction of the school. The drama class initiated a fundraiser to mark the centennial of the first white settlers in the area. Their play Commedia Del’ Arte was presented on an outdoor stage, along with a country-style buffet and musical entertainment. In the following years, staff and students continued to produce shows until they produced a full season of plays in 1988. In 1986, Rosebud School of the Arts established a Fine Arts Guild – that is, a group of artists whose main objective is to offer apprenticeship-style instruction using the theatre as practical training centre. In 1988, the Alberta Legislature passed the Rosebud School of the Arts Act, recognizing Rosebud as an institution of higher learning. It is under this Act that Rosebud School of the Arts operates today. In 2001, an eight-month Certificate Programme started with ten students. This was followed by a revised Mentorship Programme offering three years of professional training. The Studio Stage, a flexible blackbox theatre, was opened in 2002. Rosebud School of the Arts counts 30 students in its various programmes while producing two studio stage shows annually, augmented by numerous student projects. Since its early experiments, Rosebud Theatre’s popularity grew exponentially to attract 10,000 patrons in 1987, 20,000 in 1993, and 30,000 in 1996. Currently, over 40,000 attend Rosebud Theatre every year. In the early 1990s, renovations to the old Opera House exchanged church pews for tiered theatre seats and introduced a heating and air-conditioning system to replace the need for blankets in winter and fans in the summer. Indoor plumbing was not installed until 1991. Currently, Rosebud Theatre presents six shows per year on two stages, in addition to special presentations, and Engage events. Rosebud Theatre shows are performed and produced by a resident company of artists and provide apprenticeship opportunities for students of Rosebud School of the Arts. The Mercantile (the old general store) underwent renovations to serve as a pre-show dining room. In 2011, one hundred years after the building of the original Mercantile, a new conference centre and restaurant was opened to provide facilities for banquets and weddings. 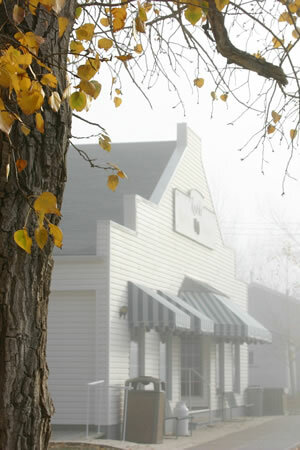 As a cultural tourist destination, Rosebud is a benchmark for rural development and commercial success.